1. When will I receive my Statement of Results (SOR) and / or Certificate? Once you have completed and submitted your Portfolio of Evidence (POE) and have been assessed and have been found competent, your POE will then be internally moderated. After the moderation was conducted successfully, your POE will be allocated to the batch of POEs which are due to be verified by the ETDPSETA. Verifications take place once every three months. After your POE was successfully verified by the ETSPETA, your details are uploaded to and endorsed by the ETDPSETA on the ETDPSETA’s LMS (Learner Management System). The ETDPSETA then issues your SOR (Statement Of Results). At this point, Assessment College comes into possession of your SOR and we can issue your certificate. Assessment College cannot issue its certificates without the relevant SOR which can only be issued by the ETDPSETA. This process can take up to 3 to 4 months after the verification has taken place. Certificates for the ODETDP National Certificate and Diploma are not issued by Assessment College and are directly generated and issued by the ETDPSETA. 2. Why is there such a delay in receiving my SOR and / or certificate? Assessment College cannot issue its certificates without the relevant SOR’s, and we are dependent on the ETDPSETA for issuing these SORs. If SOR’s are outstanding, we cannot go ahead with certification. The ETDPSETA has large numbers of learners passing through their system and processes these learners in the chronological order based upon successful uploads and verifications conducted. 3. How do I get my certificate and / or SOR from Assessment College? We prefer to provide our learners with a hard copy of their SORs and certificates. In exceptional cases, we will email you your SOR, but you are required to collect or make arrangements by contacting Leigh Wilbore at leigh.wilbore@cityandguilds.com for the collection of your certificate/s which will be issued to you in hard copy only. 4.How long does Assessment College keep my Portfolio of Evidence? All learners are requested and expected to make a copy (to keep) of their POE before submitting this POE to Assessment College for assessment, moderation and verification. For security and confidentiality purposes, Assessment College destroys POEs after each successful verification. 5. I want to teach or train in my line of specialty. Which course should I attend? The excellent news is that Assessment College’s courses and qualifications are structured in such a way that they can be applied to any industry and can enhance and benefit the lives of any individual. For example, the assessor course deals with the assessment itself – not the content of what is being assessed. The same with the facilitator course which deals with how to train/teach others which is not limited to the content which will be trained/taught. The answer to this question depends entirely on how much of the learning path you want to embark on with your learners. If you are wanting to engage with them solely from a teaching perspective, we recommend the facilitator course. If you are wanting to be more involved in the assessment side of their learning as well, we recommend the assessor and moderator courses. If you are wanting to do all of this, plus gain more knowledge of education and training itself and well as learn how to develop your own learning and assessment material, conduct learning needs analyses, etc. We recommend the ODETDP National Certificate. This will entitle you to have gained the skills and knowledge to be acknowledged as a Learning and Development Professional within your industry or passion and will also allow you access into the ODETDP National Diploma. After successful completion of the Diplom, it will enable you to apply for the B.Tech Degree in Human Resources Management with other institutions as well. There are a wide variety of other options too that you may want to take up. However, it is best to contact us directly to discuss your specific needs and what the best solution for you would be. 6. What is the difference between the ODETDP Level 5 National Certificate and the ODETDP Level 5 National Diploma? Further learning assumptions are specified within the associated unit standards making up this qualification. The applicant must first have successfully achieved the minimum of 120 credits at Certificate level before they can enrol for the ODETDP Diploma. The reason for this is, to be certified for the Diploma the learner must have achieved a total accumulation of 240 credits to get officially recognised for the Diploma as per SAQA. This means, 131 credits from the Certificate + 115 Credits accumulated for the Diploma = 246 credits altogether to be certified for the Diploma. 7. Are Assessment College’s courses recognised internationally? Assessment College is a City & Guilds Group company and is a City & Guilds Education Training and Skills Development preferred provider. Our assessor and moderator courses are accredited with City & Guilds and learners have the option of receiving a City & Guilds certificate for these courses without undergoing any additional training. Our facilitator course is also accredited with City & Guilds, but requires a compulsory Multiple Choice exam to be sat in order to receive a City & Guilds certificate for this course. 8. I have lost my certificate and / or SOR. How do I get reprints? 9. What can I do with the courses that Assessment College offers? Please refer to our course overviews, which details the opportunities that are created for you once completing our courses as well as the content, units, levels and credits which will be covered in these courses. 10. Where are Assessment College’s courses offered? Assessment College offers its courses in Midrand, Johannesburg. We do however also offer in-house training to corporates for 10 or more learners, and we also have licensees who offer our courses nationally around the country. It is best to get in touch with us directly to discuss your specific needs in terms of location. 11. Does Assessment College offer RPL in my line of work and how can I register? Assessment College does offer RPL learning for both our Assessor and Moderator learning programmes. Please get in touch with Leigh Wilbore at leigh.wilbore@cityandguilds.com to enrol via the RPL route. 12. I have completed some of the unit standards from the ODETDP qualification. How can I enrol to complete the rest of the unit standards so that I can complete my ODETDP qualification, and do I receive discount on my completed unit standards? Assessment College offers the opportunity for learners to only attend the Skills Programmes which comprises of the unit standards they have outstanding in order for them to complete their ODETDP qualification. They do not have to attend the Skills Programmes which covers the unit standards they have already completed. Learners will only pay for the unit standards they still need to complete. 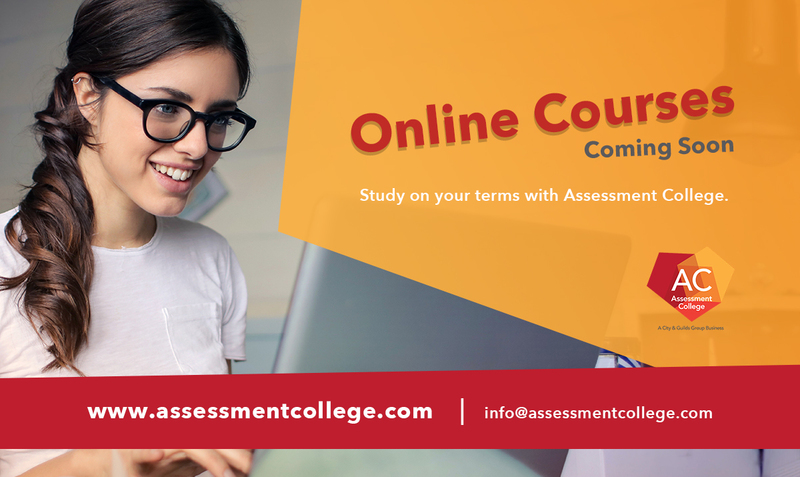 Assessment College is a global leader in human capital and skills development. We provide our services to employers, educational institutions, training providers and professional individuals to ensure 21st century skills are shared and implemented across a wide variety of industries and learning development avenues. Join our mailing list to receive the latest course dates and updates from our team.